Value investing : this is the most common of all quantitative strategies. 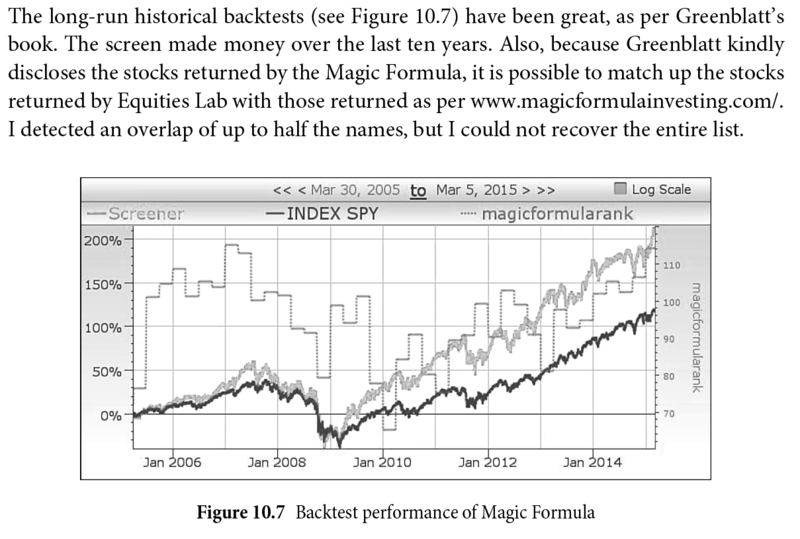 From the famous Magic Formula (https://www.magicformulainvesting.com/ ) to funds like LSV (http://lsvasset.com/ ) numerous practitioners use value investing concepts quantitatively to enhance their returns. 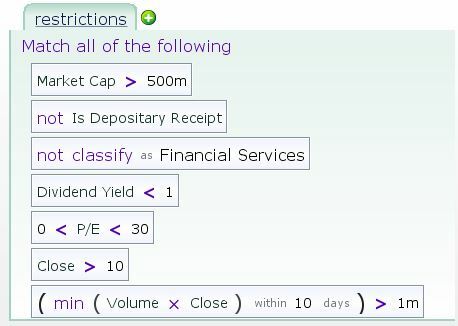 3. investing in stocks with negative earnings – note that these stocks do not have a defined PE ratio, since negative earnings typically render the ratio meaningless. The green line is the backtest of the 0 to 18 PE, the blue line is the backtest of the 18+ PE strategy and the purple line is the backtest of the negative earnings strategy. Buying low PE stocks is definitely better for your net worth, over the long run. You may notice the initial blip up in the purple line…. that was the dot com bubble. 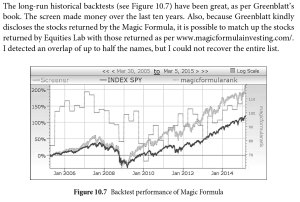 These backtests are generated by Equities Lab (www.equitieslab.com). 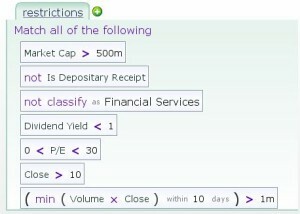 You can conduct your own backtests for your own strategies using the software. If you are interested in learning more, you can also look at my book on Quantitative Investing .